It’s the final weekend of the off season which makes it a good time to write about expansion again. When considering where to put teams it’s important not to put too many into Sydney or Melbourne. Having said that I think you could add two more teams in each city. FFA have made it clear that they want more derbies and luckily they have a clean slate to work with, unlike the NRL and AFL. 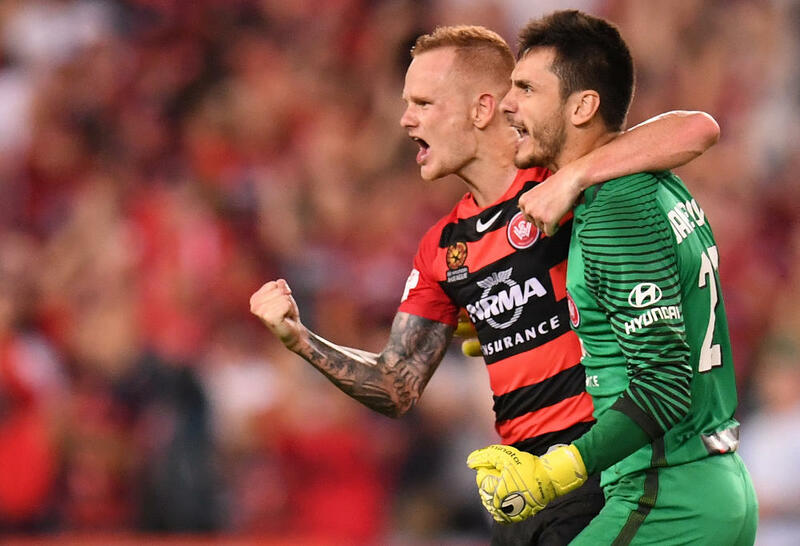 Unlike those codes who have nine teams in Sydney and Melbourne respectively, FFA could put four teams in each city without over saturating either market. But the total number of teams could be expanded to 20. If FFA insist on not having promotion-relegation then I think they need expand the A-League to 20 teams to give as many as possible a chance in the top flight. The first place to start is in Sydney. In addition to Sydney FC and the Wanderers you could put two new teams in Southern Sydney and South West Sydney. Sydney FC are opposed to the Southern Expansion bid because they say that it will take away supporters but you have to keep in mind that Waverly, Woollahra, Randwick, Bayside, North Sydney, Mosman, Northern Beaches the Inner West and the CBD have a combined population of over a million people. I think that’s enough even without St George and Sutherland. Looking further west I think you can say the same thing. 400,000 new people are set to move into the Hills District north of Parramatta in the near future. If just two per cent of these people turned out to support the Wanderers that would be 8,000 new supporters. Given that the old stadium was overflowing and the new stadium will only have 30,000 seats, every home match will be sold out. Clearly Western Sydney is big enough for two teams. The obvious location is South West Sydney which has a population of around 700,000 and which will soon reach a million. Unlike Ned Manoun’s proposal however, the team shouldn’t be a carbon copy of Liverpool FC and they should have their own identity. The traditional colors of the region are black and white so that would be an obvious choice. There’s currently a second division bid from Fairfield while Campbelltown has also been discussed before but Liverpool is still the best connected for the most people in South West Sydney. Liverpool is halfway between Fairfield and Campbelltown and when the metro is extended to the new airport in the west via Bankstown to the east a new station could be built directly at the stadium for easy access. After Sydney the next place to look at for expansion is Melbourne. Melbourne Victory and Melbourne City might oppose adding new teams but like Sydney, Melbourne is big enough to handle a couple of extras. The two best locations are South East Melbourne and Western Melbourne. South East Melbourne already have an impressive bid and a population of 1.2 million people from which to draw support. Western Melbourne is the other clear stand out with a population of just over 700,000 and will quickly grow to a million. They would only need a 1.4 per cent turnout from their current population to reach the magic 10,000 crowd figure. I also happen to know that a Western Melbourne A-League bid is set to be raised as a discussion topic at the councils of Wyndham and Hobson’s Bay. It must be said that not all topics that are discussed get the go ahead but if the councils of Wyndham, Hobson’s Bay, Melton, Maribyrnong and Brimbank can co-operate on a joint bid the same way that councils are doing in the South East then Western Melbourne could be the next big thing. After Sydney and Melbourne the next major cities are Brisbane, Perth and Adelaide. But I don’t think these places need derbies. Starting with Brisbane it would be very expensive to build a new stadium in a state which is $90 billion in debt when the Gold Coast and Sunshine Coast already present alternatives not that far from Brisbane. As for adding teams in Perth and Adelaide, why would you want to? The whole reason that people from these cities are so passionate about beating teams from the east coast is because they’re constantly ignored. So let’s just ignore them. It would be better to add three regional teams in their place instead. In fact regional Australia is the fourth largest TV market after Sydney, Melbourne and Brisbane, which puts them ahead of Perth and Adelaide. Tasmania, Wollongong and Canberra all look strong and would bring the total number of teams to 16 in addition to Southern Sydney, South West Sydney and South East Melbourne. Then Western Melbourne could come in to replace Wellington. Leaving Tasmania out of the A-League would be like not having a team from Sardinia in Serie A, it just wouldn’t feel right, like there’s something missing. Tasmania has 14,000 registered players compared to 3,700 in Geelong, 5,500 on the Sunshine Coast and 11,500 in South East Melbourne. So that’s not bad is it? Tasmania might be known as an AFL state because of that codes popularity in relative terms but in absolute terms when compared to a number of other candidates Tasmania does quite well and I think this point gets lost. They might not be the strongest contender in the A-League but they could become a valuable player nursery like Canberra or Newcastle. Wollongong should also be in. Some say that they would just be another Mariners but Central coast have a record average attendance of 12,738 which is higher than the records for Adelaide United, Perth Glory or Melbourne City. That’s from a non-football heartland no less. I think that Wollongong could get average crowds over 10,000 going on that, especially with big crowds for the Sydney teams. Adding Wollongong would also allow Southern Expansion to focus just on Southern Sydney and simultaneously create a new rivalry between the two. As the nations capitol it would be silly to leave out Canberra plus they’re also close to Sydney. This would bring the number of teams in and around Sydney to eight with Sydney FC, Western Sydney Wanderers, Southern Sydney, South West Sydney, Central Coast, Newcastle, Wollongong and finally Canberra itself. If only the NRL had thought of that. Some time after that the league can be expanded further to 20 teams. The Gold Coast and Sunshine Coast could be added as quasi-derbies for Brisbane and Geelong likewise for Melbourne. Then finally, Townsville could come in to represent northern Australia to bring the total number of teams to 20. Twenty teams might sound like too many, but with that many derbies drawing large TV audiences FFA wouldn’t need the finals. I think expansion can be fast tracked by FFA not giving the same handouts to new teams. If they just pay for essentials like TV production and travel then the costs can be kept to a minimum. A 16 team league would have 240 matches up from 135 at present which would cost $21 million for TV coverage at $200,000 per match. Add $1 million per team for travel and that’s $27 million a year. 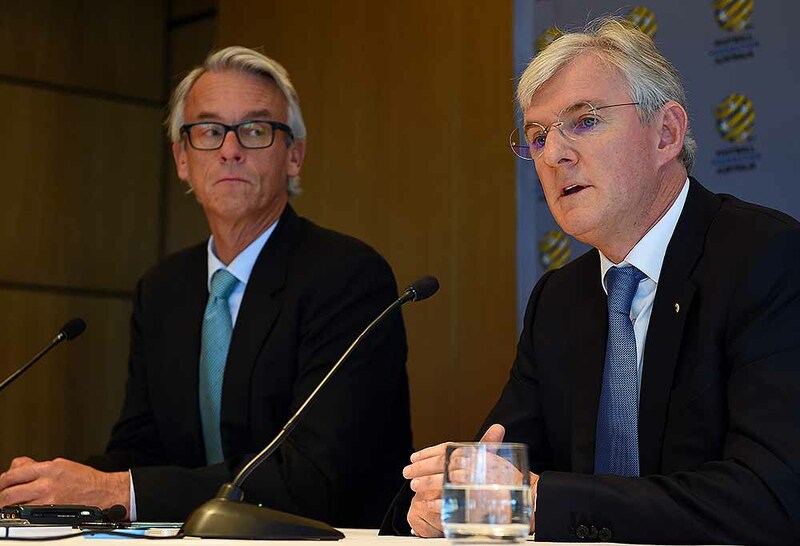 The new teams could be put on provisional licences which would make them exempt from having to pay fees to FFA until TV ratings increase to the point that FFA can give them the same amount of distribution of TV revenue as other teams. At the same time however, this would also mean that they would have to be self funding until this can happen. Getting the money from broadcasters to do this would mean having to ask them for a raise, but I think they would be willing to do so, rather than watch as the A-League stagnates for two more seasons with the same ten teams. As for new teams having to be self funding and being on lower budgets it’s still much better than having to start in a second division. So they might still be happy to have direct entry to the A-League even if it’s only on a provisional license initially.